B.dll File | How to Detect B.dll Error? The file named B.dll comes from an unknown developer. It is not safe to work with the program as its origin or the software that uses the DLL file is unknown. The program is not associated with any attacks in the past according to scans. It is makes it usually reliable but there are many circumstances when it could be hijacked by other programs. B.dll is located in c:\windows\system32. The total size of the file and the latest version of the program available is not known. The non-system process is not associated with the Windows operating system and can be removed any time without affecting the computer’s overall performance. How to check if your computer is infected with B.dll malware? Go to the process tab and right-click on the B.dll file and open its location. 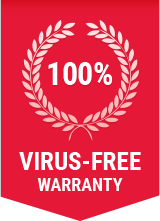 How to remove B.dll malware from system with Comodo Cleaning Essentials? Step 5: Comodo Cleaning Essentials will remove B.dll malware from your computer including all other malwares!